Yates wins on Vallter 2000, Quintana does light work. Home/Featured, Uncategorized/Yates wins on Vallter 2000, Quintana does light work. 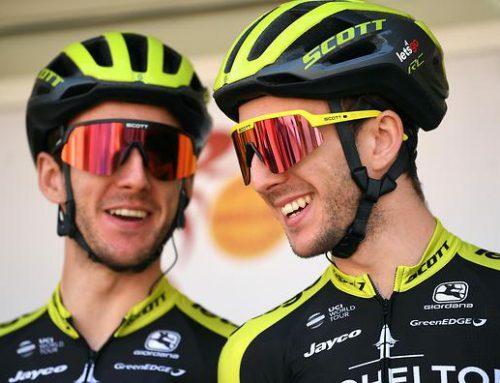 Team Sky’s Egan Bernal may be the new wonderkid but Mitchelton-Scott’s Adam Yates is the boss. 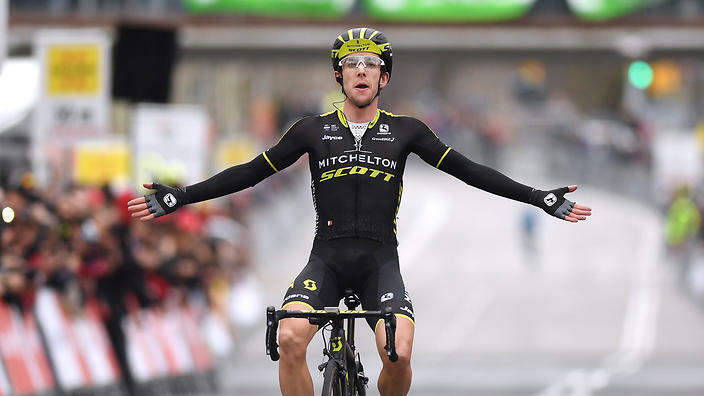 On the queen stage of the Volta a Catalunya, Yates took a masterful win atop the Vallter 2000 climb. 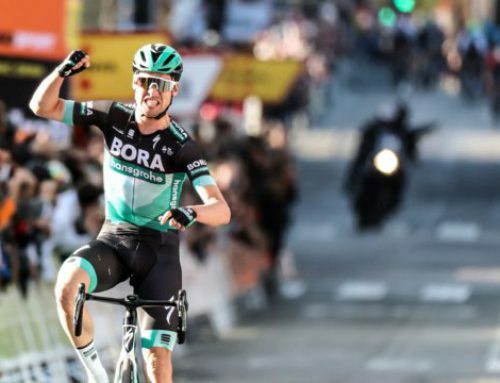 Bernal sprinted to second with Dan Martin managing to claw his way to third. The 11 kilometer climb was the exclusive battleground of those three riders along with Nairo Quintana (Movistar) and Angel Lopez (Astana). This elite group took turns trying to crack each other with only Quintana curiously unwilling to attack. It was Bernal with covered most of the moves and Yates who looked the most confident and smooth. Instead of violent accelerations, Yates seemed to be able to up his tempo and open gaps at will. The group played cat and mouse for the last 5.4 kilometers, each trying to find a weakness or opportunity. Lopez and Martin were dropped several times only to grind their way back on. Martin’s ungainly style on the bike was evident, as he rocked back and forth, willing his way forward. In the last 1.4k Lopez attacked up the right side of the road with Bernal quick to close it down. 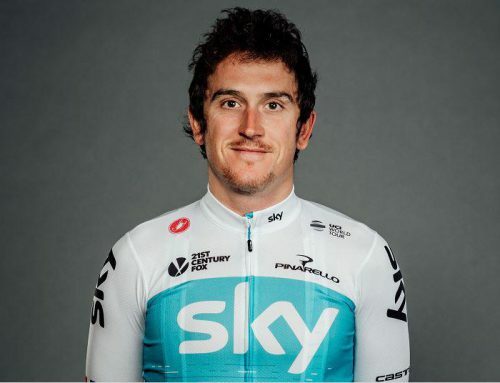 Martin then tried his hand – perhaps pointlessly, except for providing a springboard for Yates, who quickly went to the front. In the final 200 meters Yates, simply powered ahead, even looking over his shoulder just to make sure he didn’t need to apply more wattage. Bernal, Quintana and Martin all got the same time as Yates but the victory felt decisive. Actually, Quintana is 5thon GC but the five second deficit is correct. Thomas De Gendt ( Lotto Soudal) held on to his leader’s jersey with 27 seconds to burn on second placed Adam Yates. Martin slots in 33 seconds behind and Quintana and Lopez are 35 and 39 seconds back, respectively. 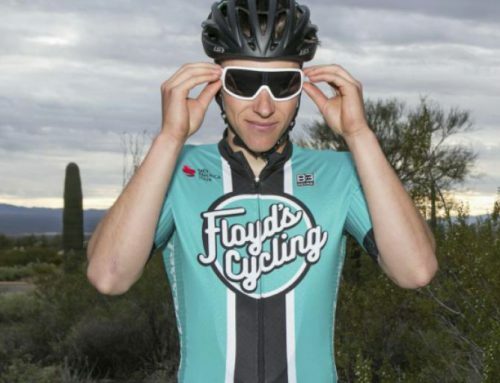 Yates would seem to be in the driver’s seat with the far less challenging La Molina stage on Thursday before several breakaway-friendly stages to come. Perhaps Quintana will feel like working on La Molina, perhaps not. Special note: Amanuel Ghebreigzabhier of Dimension Data is only 30:39 behind Bernal in the Best Young Rider competition. Surely he can close that gap!